Here is an amazing appetizer if you are looking for something to hold everyone over till dinner. This is an oldie but goodie recipe, and everyone loves it always. Rarely is there a piece left over. Good Old Fashioned Kosher Salami. (the kind in the package from Hebrew National is what I’m talking about) A-Mazing! I have to say this is my #1 post on my blog hands down since 2011. People love this recipe. 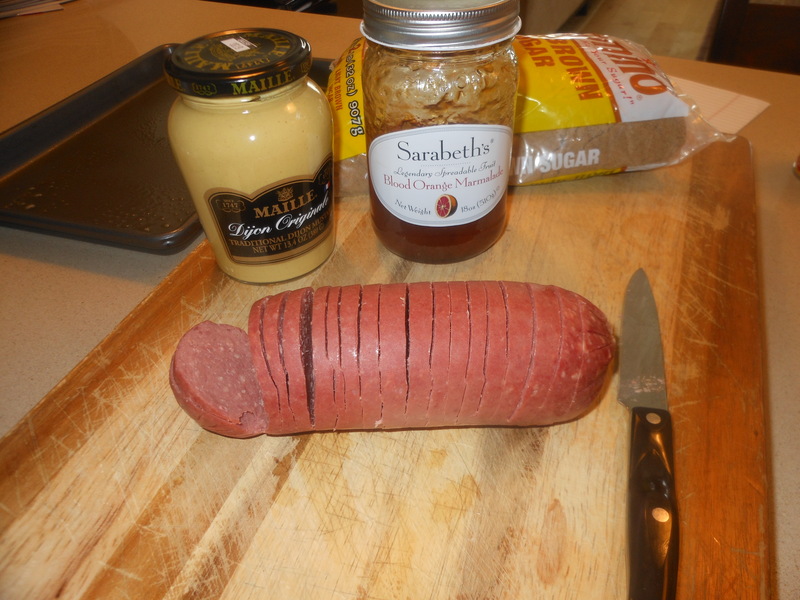 *you will want to double recipe for the larger salami shown. Recipe below is for the smaller one. Preheat oven to 375 degrees. 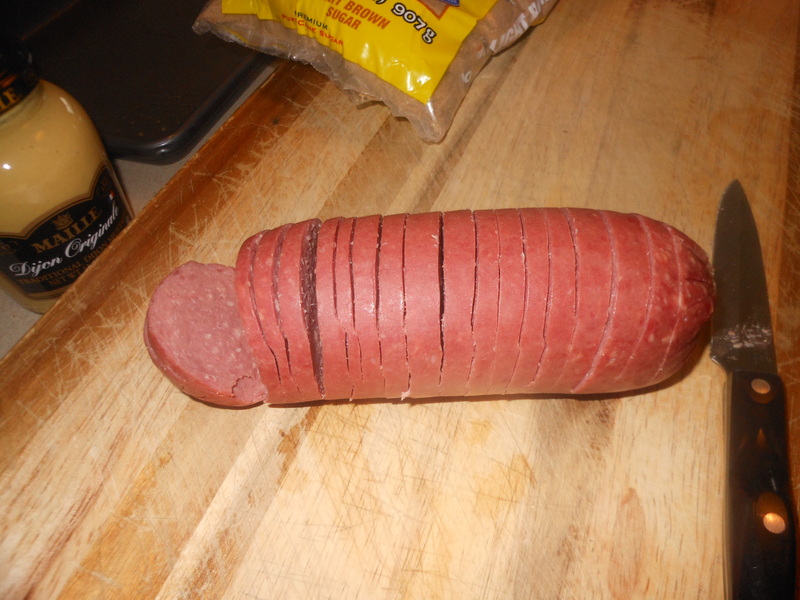 Score into Salami, cut into Salami in narrow slices but not completely through to bottom. Just make slices almost to the bottom. Mix all ingredients together and spread on Salami, place on a lightly sprayed baking sheet and cook for about 1 – 1 1/2 hours. Serve on a plate with sliced pumpernickle or rye bread or crackers. I buy that party pumpernickle bread which is already cut into small pieces and available almost everywhere. 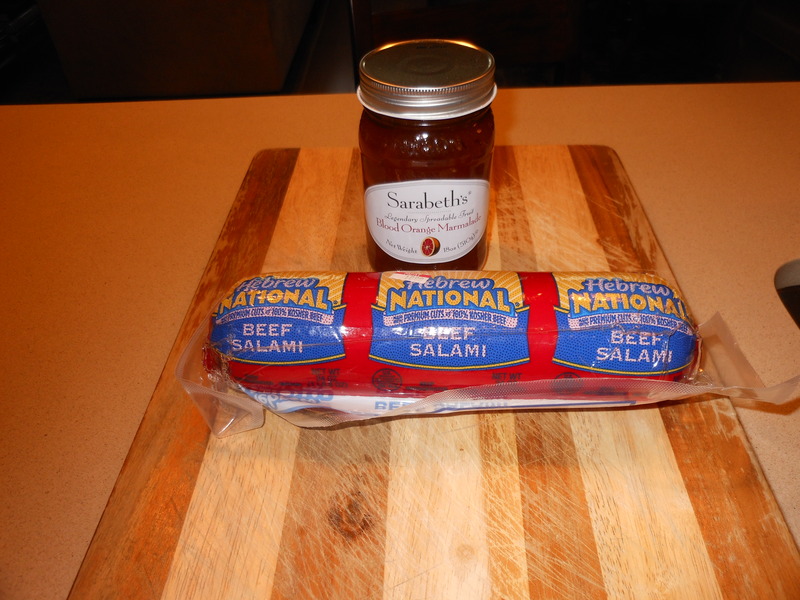 This entry was posted in appetizers, Holiday Recipes, Holiday/ Thanksgiving Recipes and tagged Baked Salami, good Old Fashioned Salami, Oldie but Goody Baked Salami, Rachel Zoe baked salami. Bookmark the permalink.